Car guys are well aware of what happens when you buy a signature vehicle from a seller. The signature part is self-explanatory—you’re buying an old classic that’s identified with a previous owner because of a long history with that guy. You’re buying an (auto) biography in the truest sense. 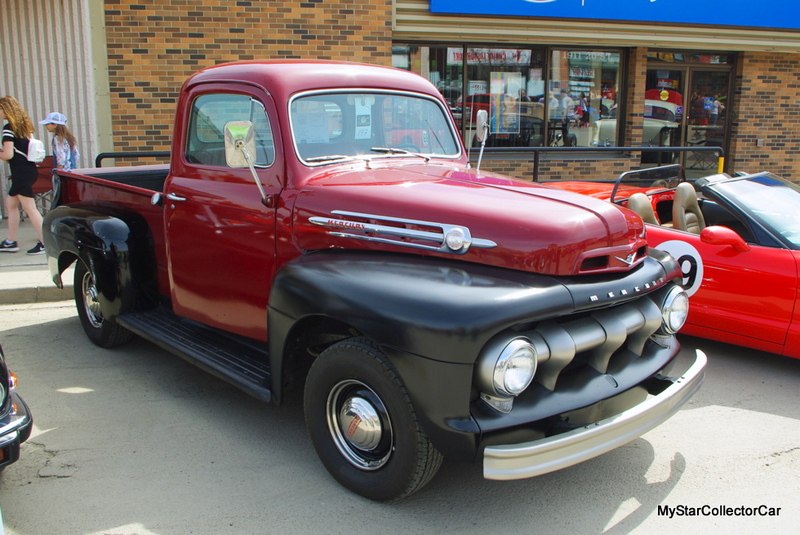 Fred Tyrer knew that three years ago when he “came across” this mix and match 1952 Mercury pickup from a locally famous guy. The previous owner had an auto business so every car guy within 100 miles had to deal with him in a search for parts and service. Fred explained how “a lot of people knew him so they know this truck even now”. Fred explained how this former owner had access to a wealth of parts so this ’52 Merc is an interesting blend of various vehicles from his bone yard. He literally “pulled pieces from everywhere” to build this old Canadian workhorse. 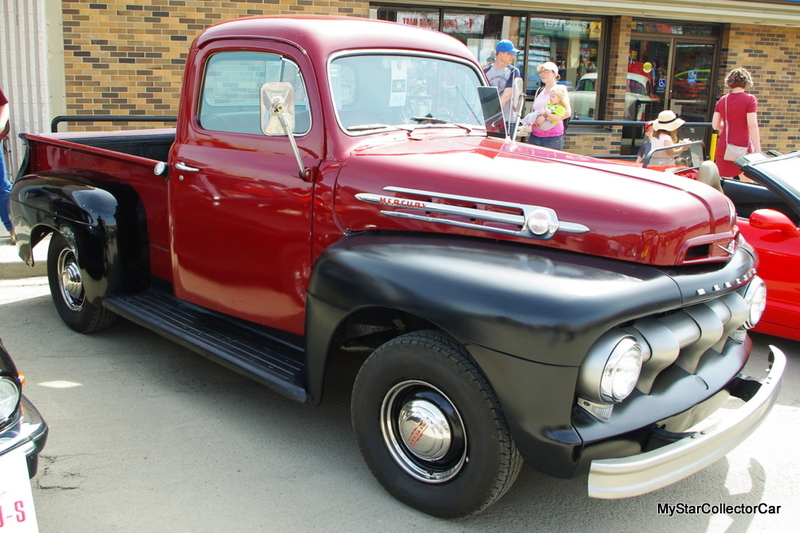 This truck started out as a 2-ton heavy duty brute force machine but it evolved into an M-1 pickup thanks to the addition of a ’52 Merc body and frame. In other words, it was a longer route to a very unique truck. The last engine was a 239 cubic inch flathead out of a fire truck but now there’s a freshly built “by an old school guy” 255 flattie under the hood. 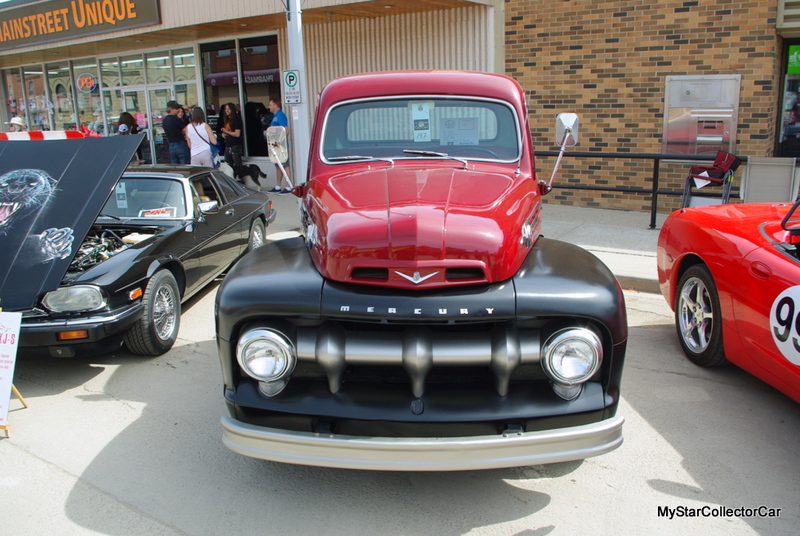 Fred is very comfortable with the bulletproof and legendary V-8 powering his classic Canuck truck. This Merc had the Five Star Extra Cab option so there are a fair number of features. The trim around the windshield and vent windows “took forever to find” and Fred is extremely protective of the factory Merc hubcaps because they’re very scarce in 2018. 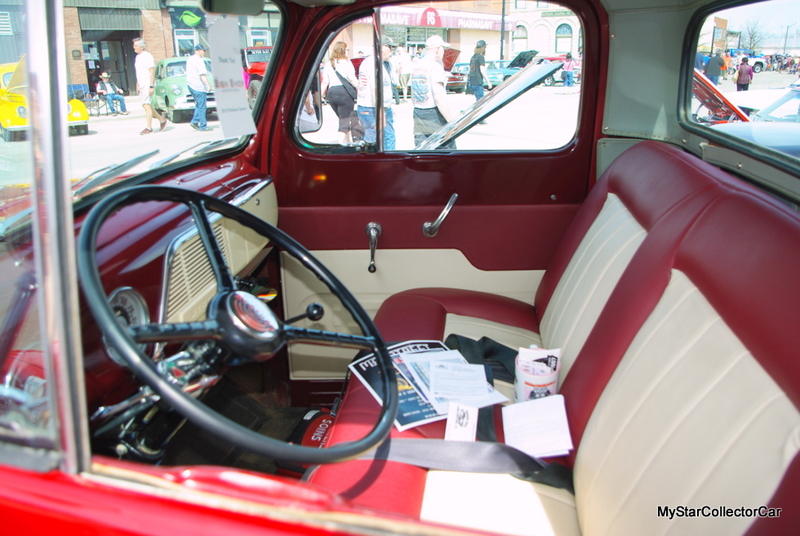 The truck was also equipped with other features like windshield washers, dual horns, retro-era signal lights and upgraded trim but the radio was a later add-on. 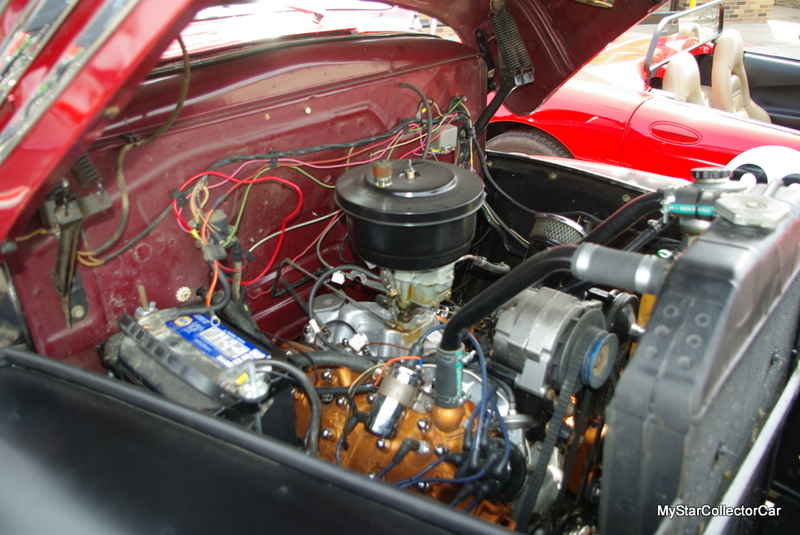 There are other upgrades like an electric fuel pump, electric fan and a heavy duty radiator—most car guys would agree that this is an excellent strategy to deal with the flathead V-8/heat/new gas/vapor lock issue. 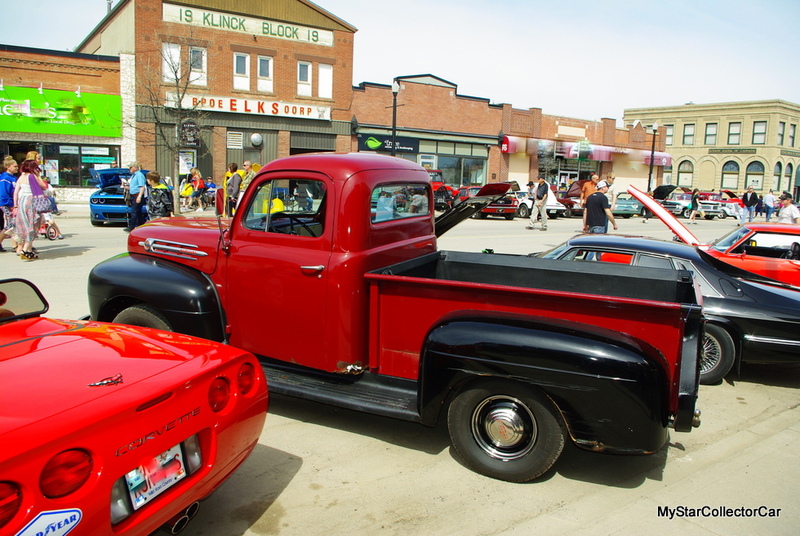 The truck also has the three-speed overdrive manual transmission so Fred runs it at “55-60 miles per hour” and the old Mercury handles it quite well. That kind of speed is like Warp One in an early 50s era pickup. 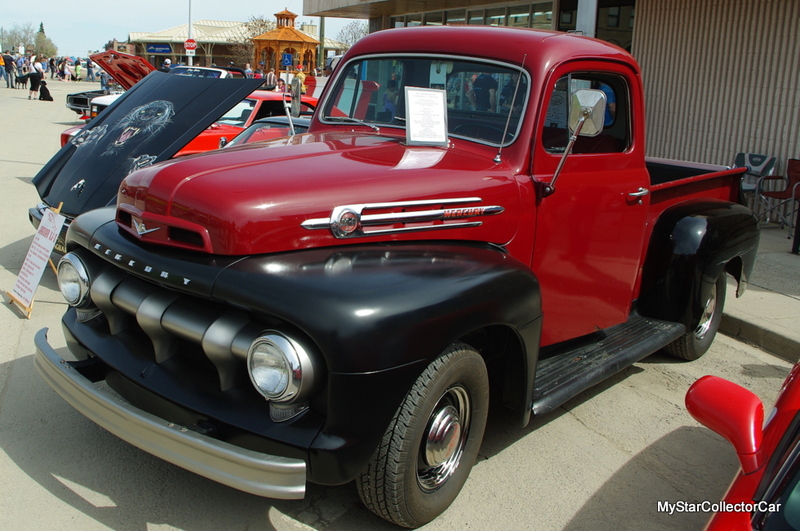 Most of this truck is on the nearly extinct list—the Five Star Extra cab and the Mercury nameplate weren’t common in ’52 so sixty six years later, they are extremely scarce. 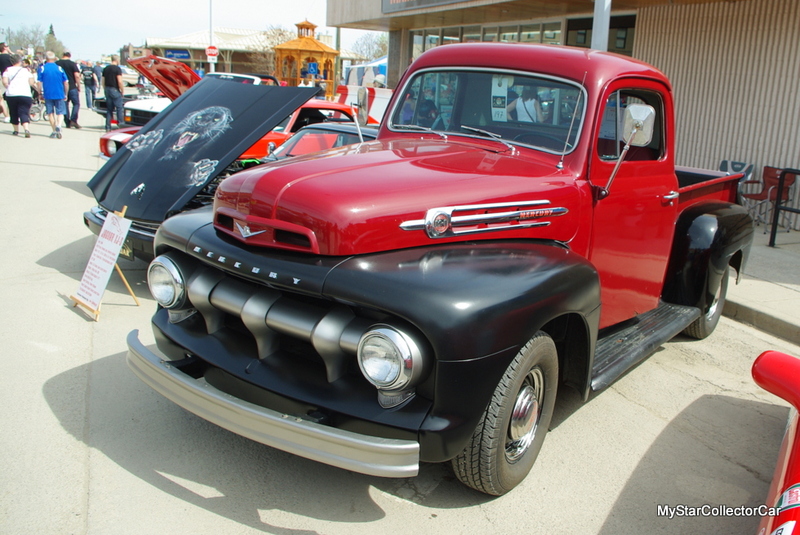 Fred calls this truck a “rare piece that needs work” so he intends to preserve and upgrade it at a leisurely pace. He drives it regularly and it’s been a great promotional vehicle for his business. 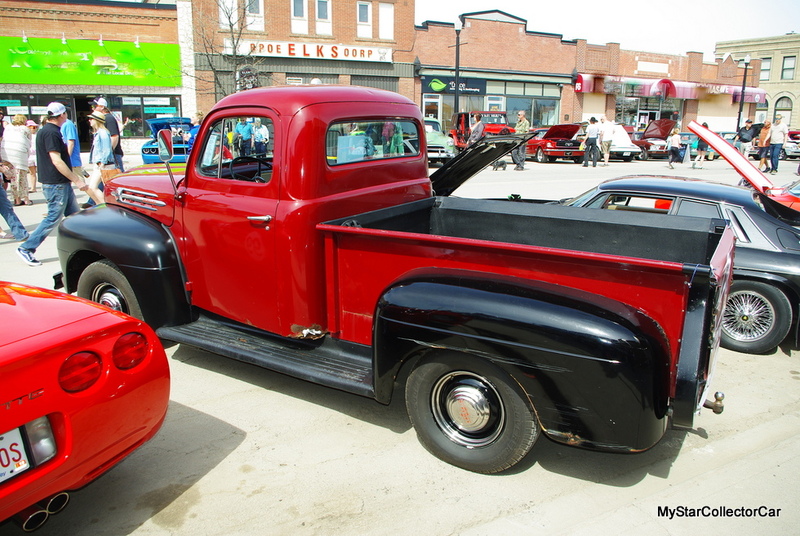 Fred said ‘it’s fun to drive” and it reminds him of a ’48 Ford he used to own. 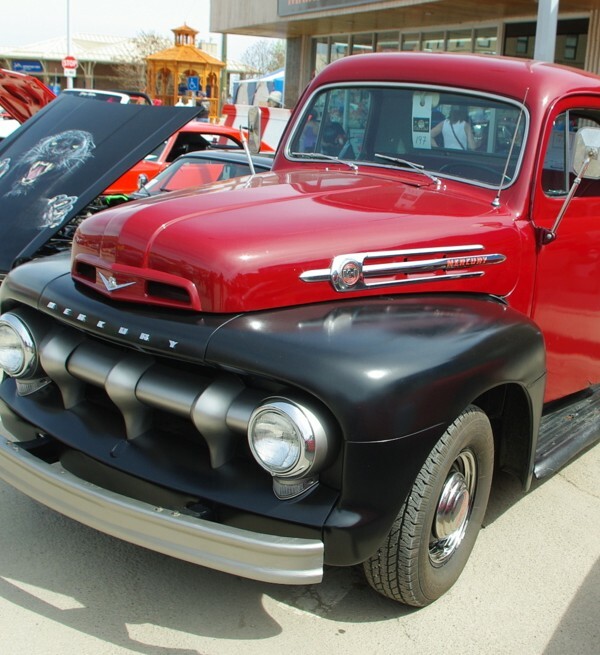 The biggest hurdle Fred has is to overcome the former owner’s history in the truck, upgrade it to his own standards and turn it into “Fred’s truck’. That’s the biggest hurdle he’ll have because Fred has the perfect attitude for his ’52 Merc. “When it comes to a passion like this, you have to follow your dreams”.